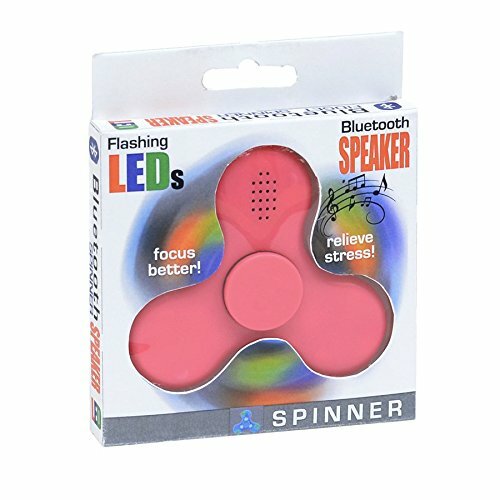 Bluetooth spinners are the hottest new phenomenon spinning the country! Fun and functional, they create an outlet for nervous habits, ADHD, anxiety, stress and much more. Simple to use. All you do is spin with the flick of a finger and the included LEDs will flash and change colors! Quiet and discreet, Bluetooth Spinners are made of high quality material and contain 4 precision sets of bearings designed to keep the busiest of hands occupied for hours! When connected to smartphone will play music. Also includes a convenient charging port and cable. 4 Colors are available, customer receives a combination of colors pink, green, white and blue in 6 pack. Made of high quality material and contains 4 precision sets of bearings to keep busy hands occupied for hours! If you have any questions about this product by Mark Feldstein & Associates, Inc, contact us by completing and submitting the form below. If you are looking for a specif part number, please include it with your message.